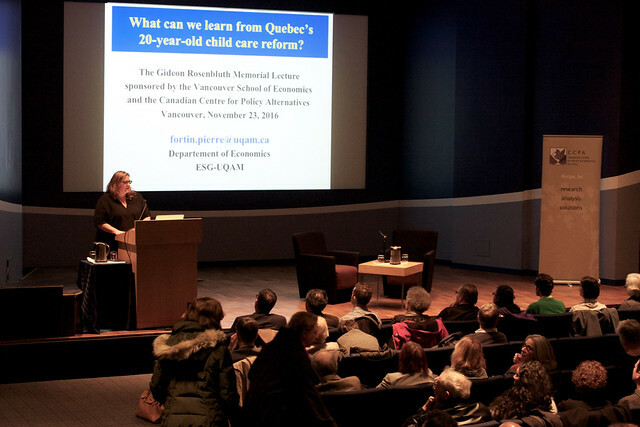 This year, CCPA-BC’s annual Gideon Rosenbluth Memorial Lecture featured economist Pierre Fortin, who shared lessons from Quebec’s experience with low-fee, publicly funded child care. Professor Fortin spoke about research he conducted with colleagues at the University of Sherbrooke, which found that for every $1 invested in the Quebec child care program, the provincial and federal governments received $1.47 in direct returns. These returns came from higher tax revenues gained from allowing more mothers of young children to return to work, from a decrease in single-parent families on social assistance, and from lower reliance on other income-tested benefits as family incomes went up. Moreover, affordable quality child care programs are a smart public investment because they have been linked to improvements in child development, social inclusion and gender equity – which are harder to quantify but very significant. 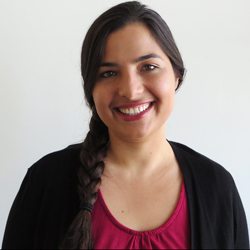 Professor Fortin made a compelling case for a universal public child care program, with additional resources dedicated to children who need extra supports, rather than one targeted to low-income children alone. He also noted major differences in the quality of child care programming in Quebec, with private for-profit providers offering lower-quality programs on average than public and non-profit providers. Further, he emphasized that low-quality programs do not provide many developmental or health benefits for children, and the existing quality gaps in Quebec help explain why some researchers have found somewhat negative effects on children in Quebec. You can learn more by downloading Professor Fortin’s slides (PDF), by listening to the audio recording (via the player above or here), by reading the original event description, or by checking out some of the event photos in the slideshow below.